Posted on January 7, 2016 by revivewa	in Reviews. For ministers and church leaders contemplating resources for study, particularly in mission, Rob Bos has provided a highly readable and encouraging set of six short studies suitable for use by elders, church councils and others in the life of our congregations. 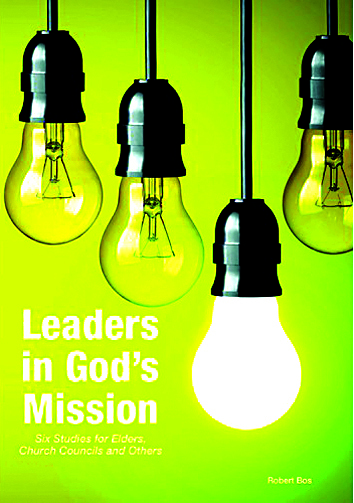 This booklet is a very welcome addition to Uniting Church resources on mission with the focus on leadership in the mission of God in the world. The studies move from a portrayal of spirituality in the 21st century world to helping us understand God’s mission, the congregation’s role, before focusing on the role of the Church Council and elders in leading mission, growing their spirituality, and sharing the joy. There is guidance on the ways in which these six studies could be used in Church Council meetings and in group study and a set of questions are provided at the end of each study. Rob’s gift for simplicity of description and discussion of important biblical and theological ideas in accessible language is evident here, as in his recent publications. In its encouraging pages, it sets out an informed pathway for us to journey together in participating in God’s mission in our world.